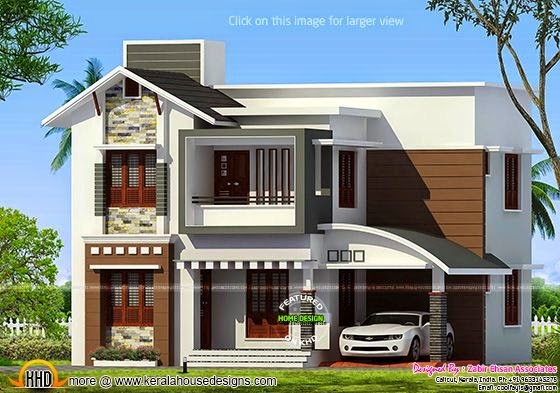 1568 Square feet (146 Square Meter) (174 Square Yards) 4 bedroom modern mix style house exterior. Designed by Builder's Studio, Calicut, Kerala. Ground floor : 808 Sq. Ft.
First floor : 760 Sq. Ft.
Total Area : 1568 Sq. Ft.